Transfer files easily using this intuitive and powerful FTP client for both advanced Web developers and novice users alike. FtpRight is a FTP client for Windows that lets you update a Web site with a single mouse click and resume interrupted downloads or uploads. It features an Explorer-like interface that is fully customizable and supports drag-and-drop functions. FtpRight is easy for beginners to use and has enough features to be useful to power users as well. Features include support for new firewall/proxy and host types, SOCKS 4.0 and 5.0, Crash recovery--no more lost transfers due to power outages or system crashes, corrections to FTP servers for year 2000 compliance, Input Command, which allows you to directly input any command an FTP server supports, the ability to resume broken downloads; the ability to perform recursive downloads, uploads, and deletes., progress rate display, default transfer mode option in session parameters, prompts for file overwrites and preserving file date and time, a favorites list similar to that of Internet Explorer, background transfers, time-outs, the ability to delete to the Recycle Bin, port numbers, passive mode file transfers and file transfer Queue as well as the ability to synchronize local and remote directories. FtpRight also includes Smart Reconnect--remembers your last connection info, transfer panes and advanced file-filtering parameters, a transfer Queue, and local/remote file/folder sysnchronization. FtpRight's Connection Manager comes preloaded with lots of popular FTP sites and adding your own FTP sites is easy. Note: This software works similar to CuteFtp, WSFTP Pro and FTP Voyager. FtpRight - Transfer files with ease using this intuitive and powerful FTP client with upload & download resume. Easy to use for professional and begginers. FtpRight is a perfect tool for Web developers or anyone that moves files on the Internet. 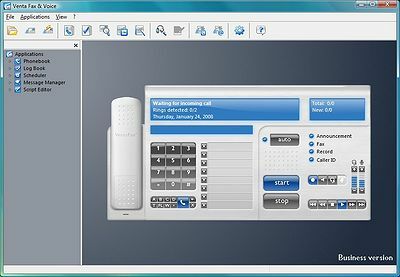 FTP Voyager Software Development Kit - The FTP Voyager Software Development Kit has been designed to give you easy, flexible, and powerful control over FTP connections and file transfers. When you use the FTP Voyager SDK, you are using the same FTP client engine that FTP Voyager uses. 123Go - Safely transfer unlimited large files, of any size, directly to a computer with 123Go, a secure, easy, and quick solution to your file transfer needs; reduces the need of FTP and email attachment. Resume broken transfers at your convenience.